With reports of ceasefire violations across the Line of Control (LoC) claiming the lives of Indian citizens showing no signs of abating, defence expert Major General (retired) S.R. Sinho has called on the Indian Army to attack the posts of its Pakistani counterpart, saying Islamabad will not learn unless there is an increase in the number of casualties of Pakistani Army personnel. "India would have been expecting that after new army chief's appointment in Pakistan, the incidents of ceasefire violation would decrease. But this has not happened. The former army chief of Pakistan had much more power in controlling Nawaz Sharif and whatever he wanted to happen, it happened," Sinho told ANI. He added, "So, after new army chief's appointment, India had started thinking that Nawaz Sharif also wants peace. But ceasefire violations have start again. So, I think these incidents of ceasefire violations across the Line of Control will continue to take place as long as the issue of Kashmir exists is not solved". He further said that the surgical strike made by the Indian Army on the terrorist launch pads in Pakistan is not sufficient. "This is just a proxy war. The Indian Army should now attack the posts of the Pakistani Army. Until the number of casualties on the side of Pakistan Army increase, there would be no effect on them and their government," he said. Earlier, after a lull of over three weeks, Pakistani forces again initiated indiscriminate firing at Indian Army posts in Jammu and Kashmir's Poonch sector on Dec 16. The firing by small arms, automatics and mortars started at 9:15 a.m. along the Line of Control (LoC). The army strongly and effectively retaliated to the firing before it got stopped at around 10:30a.m. No casualty has been reported so far. 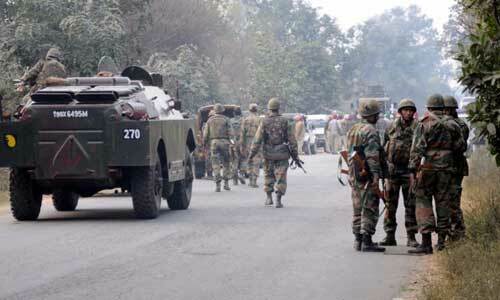 On November 23, two Border Security Force (BSF) soldiers were injured in a shelling by Pakistani troops along the LoC a day after three Indian soldiers were killed and the body of one of them was mutilated in Kashmir's Kupwara district.